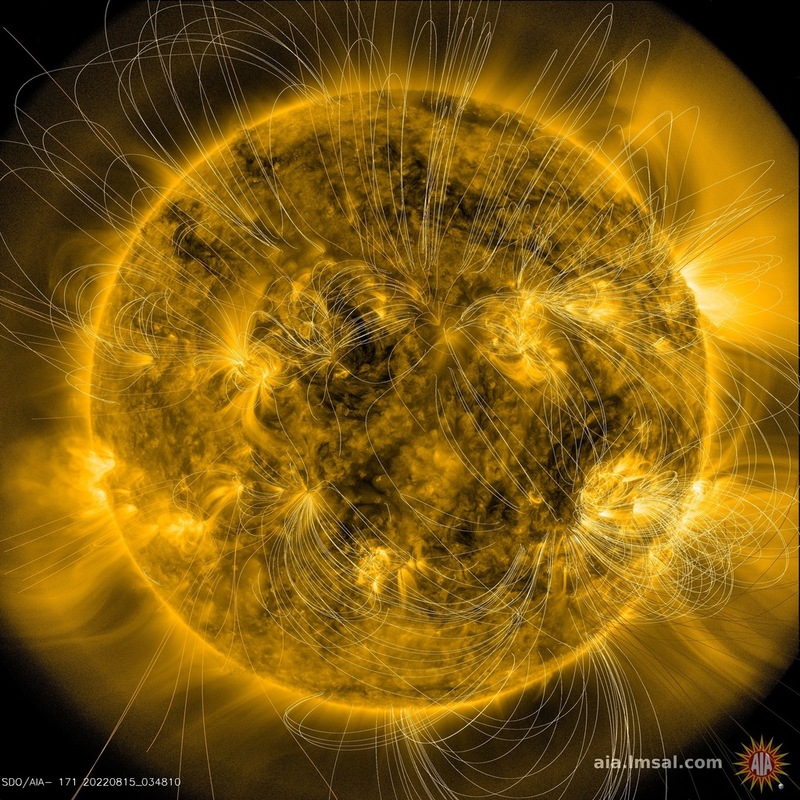 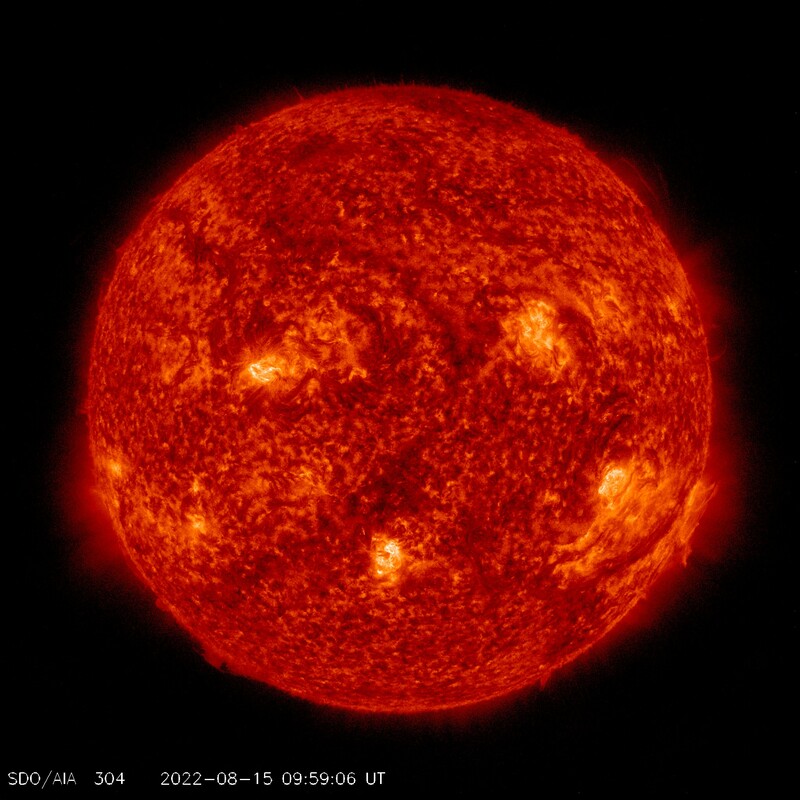 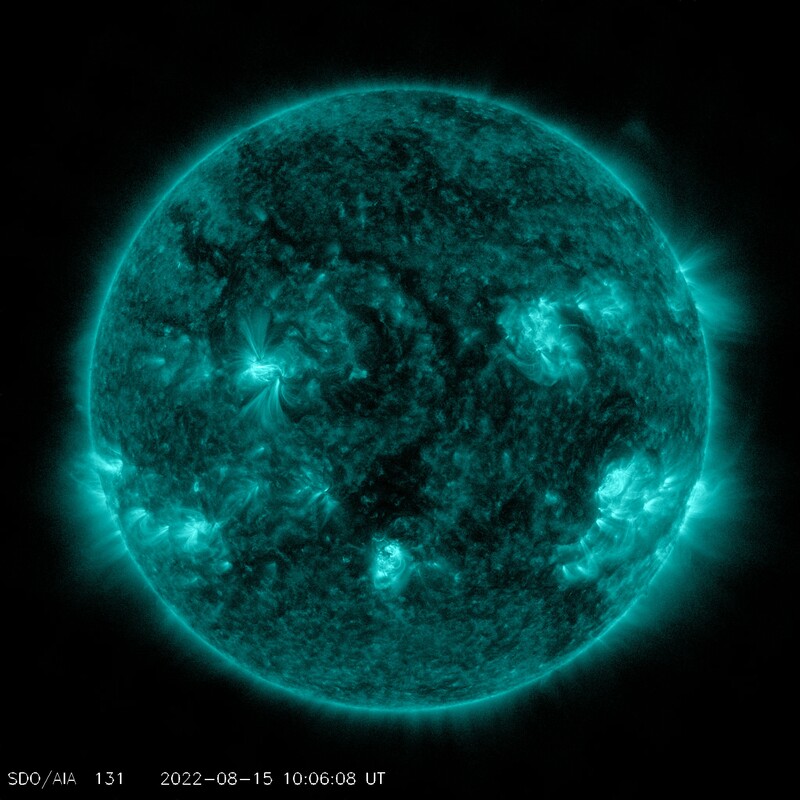 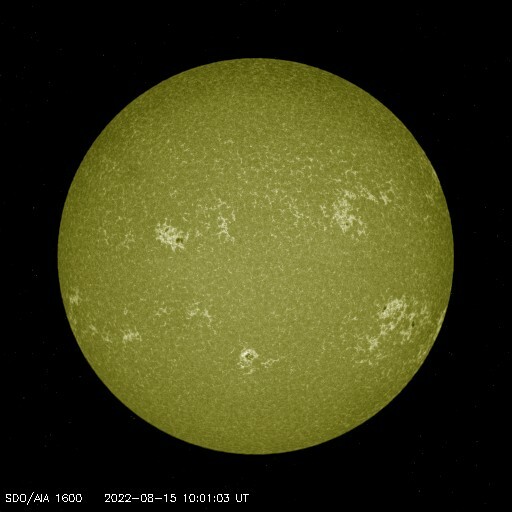 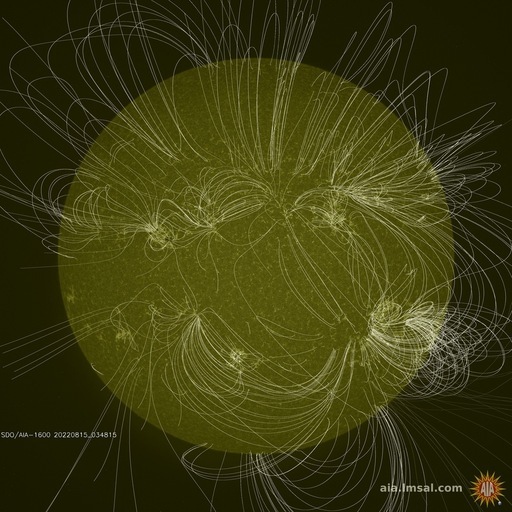 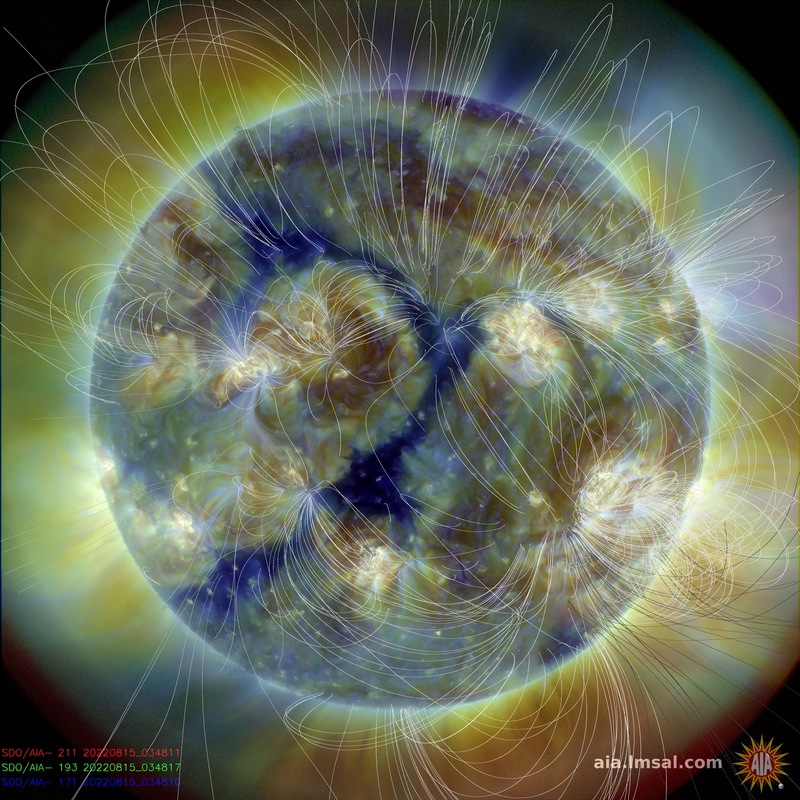 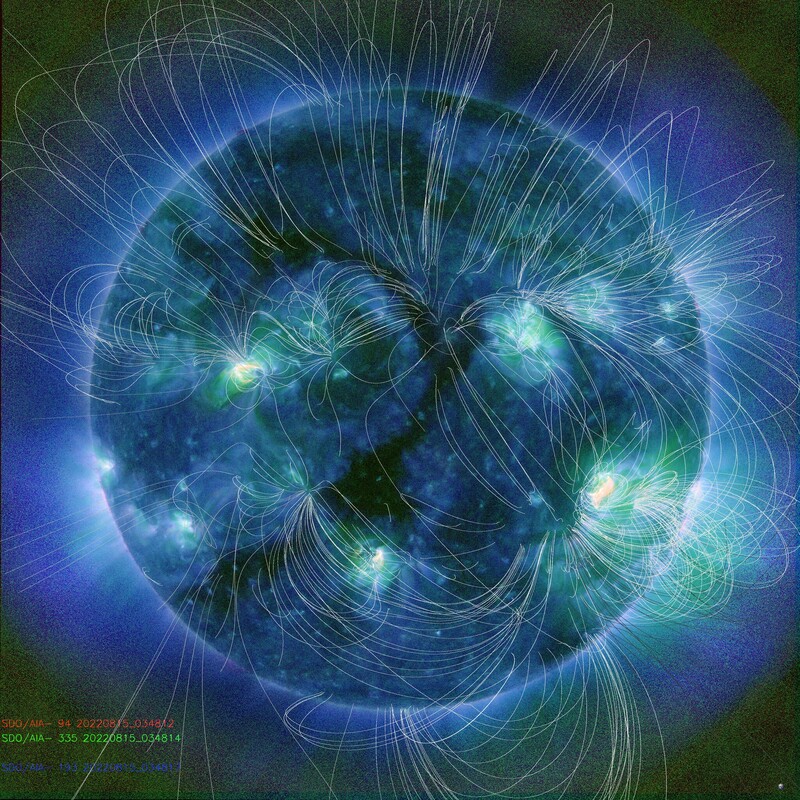 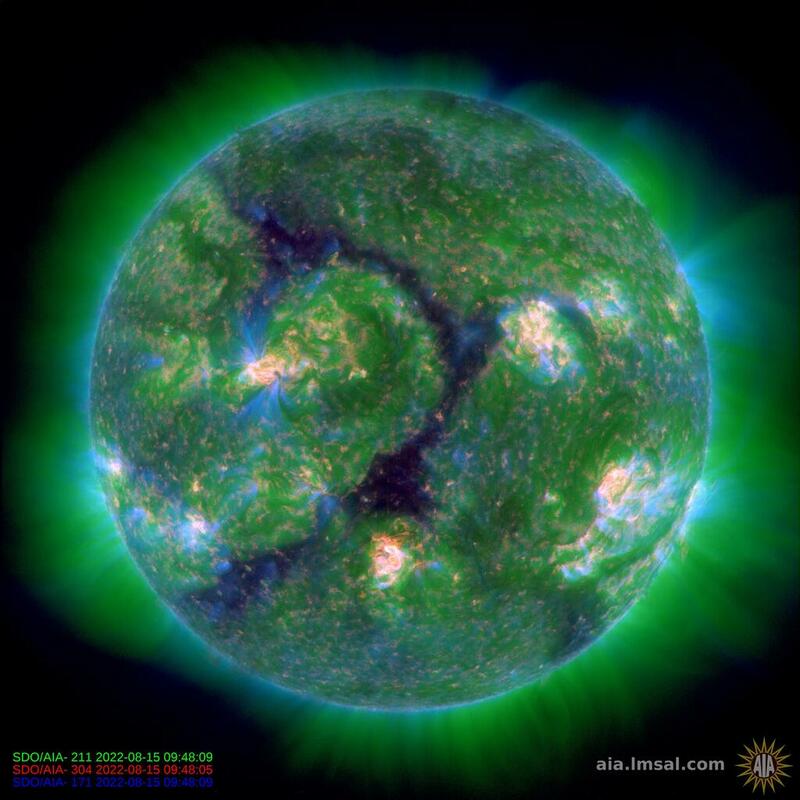 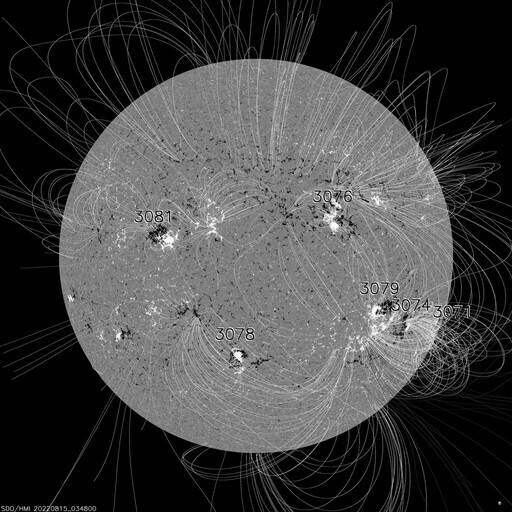 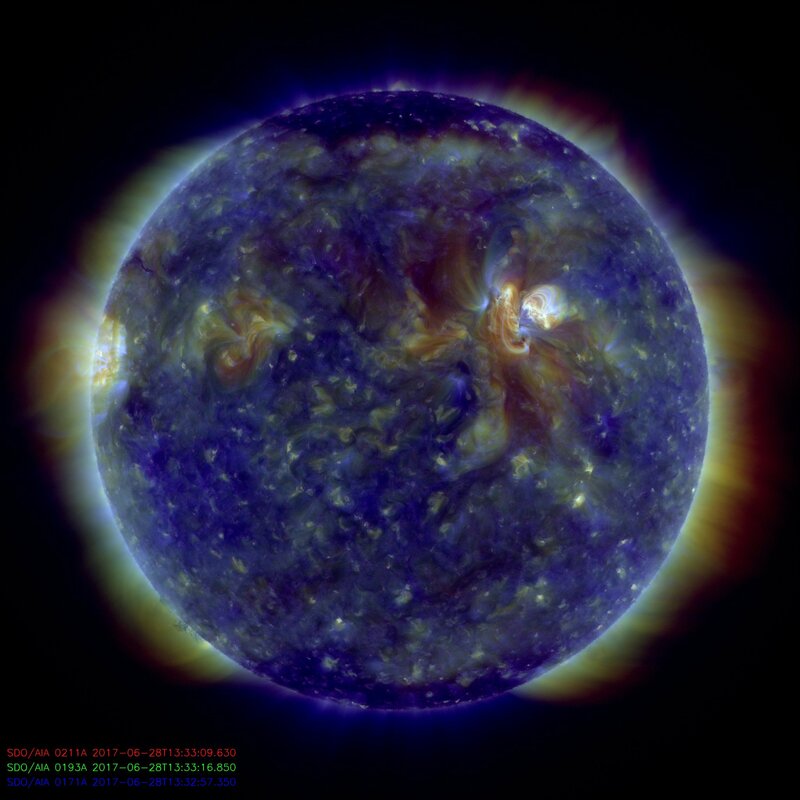 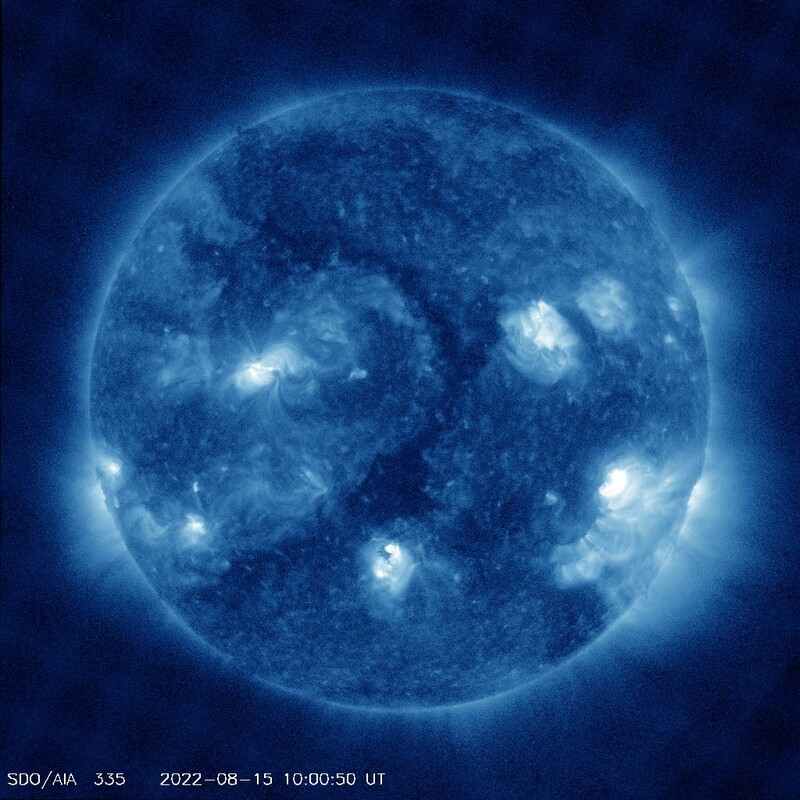 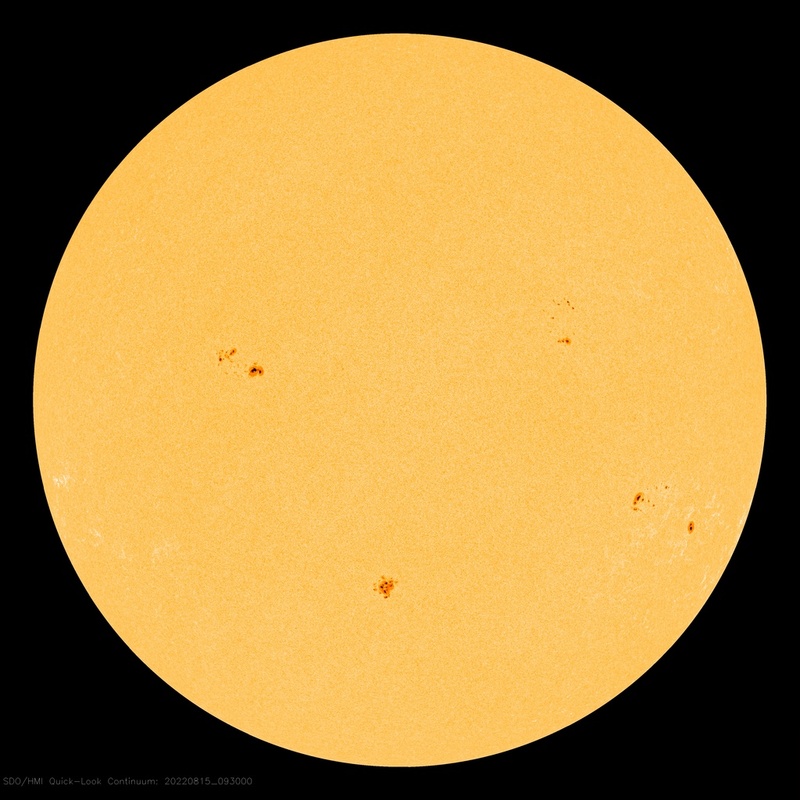 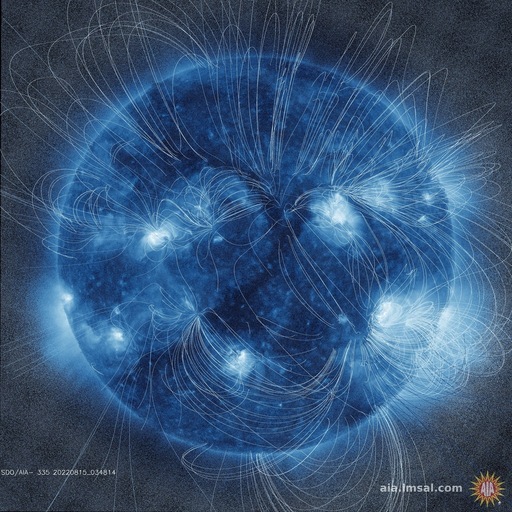 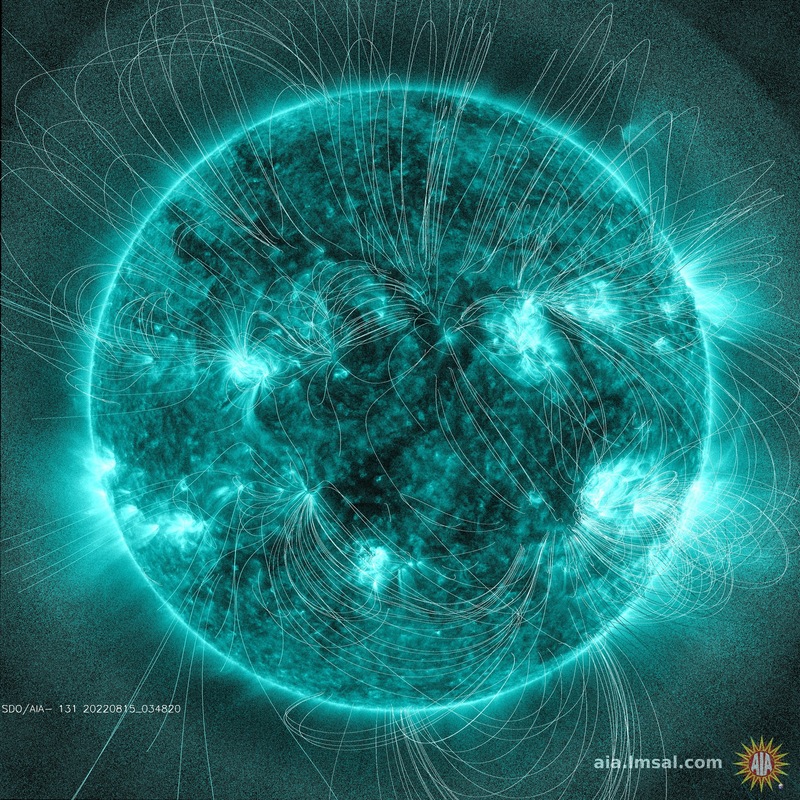 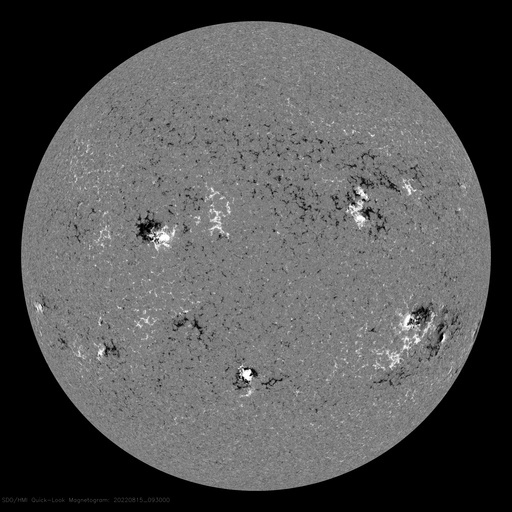 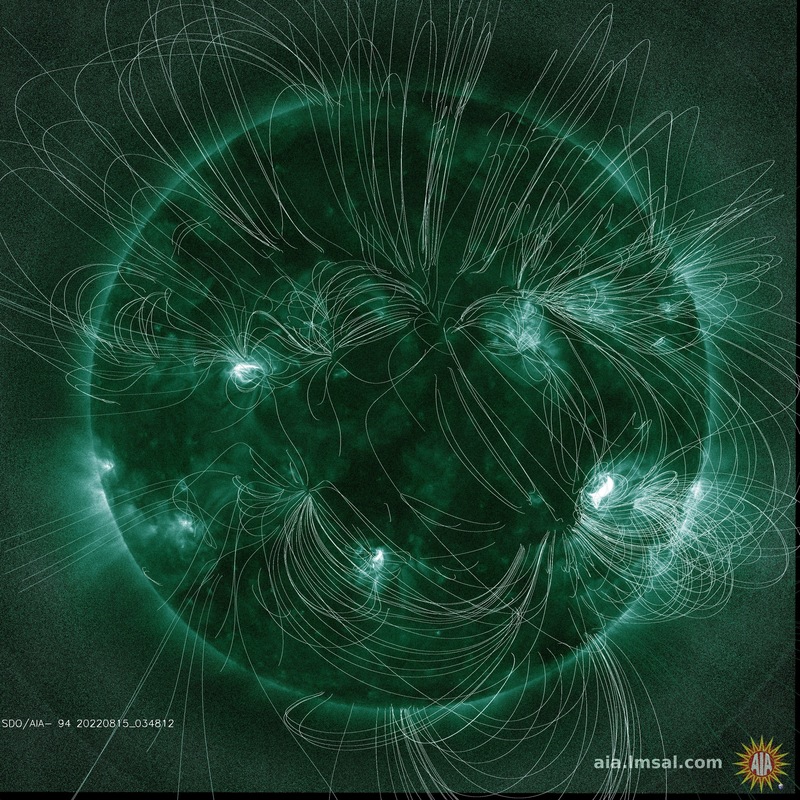 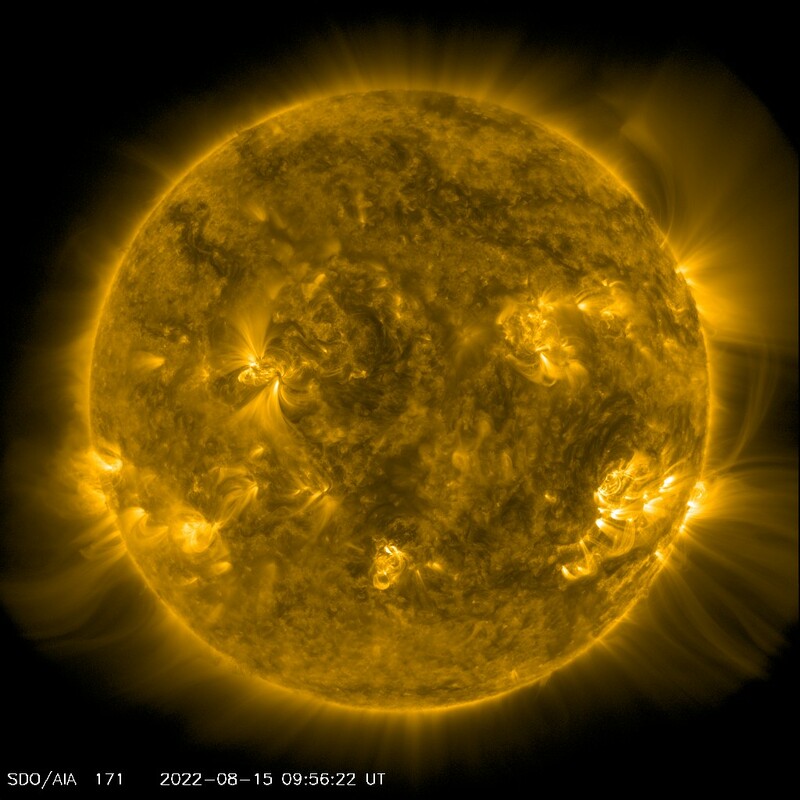 High resolution images of the Sun from the SDO spacecraft - the Solar Dynamics Observatory. Solar Dynamics Observatory (SDO) is a spacecraft laboratory, orbiting the Earth and pointing its instruments to the Sun. Its mission is to understand the causes of solar variability and its impacts on Earth. Latest combined product composite images from SDO AIA and HMI instruments. 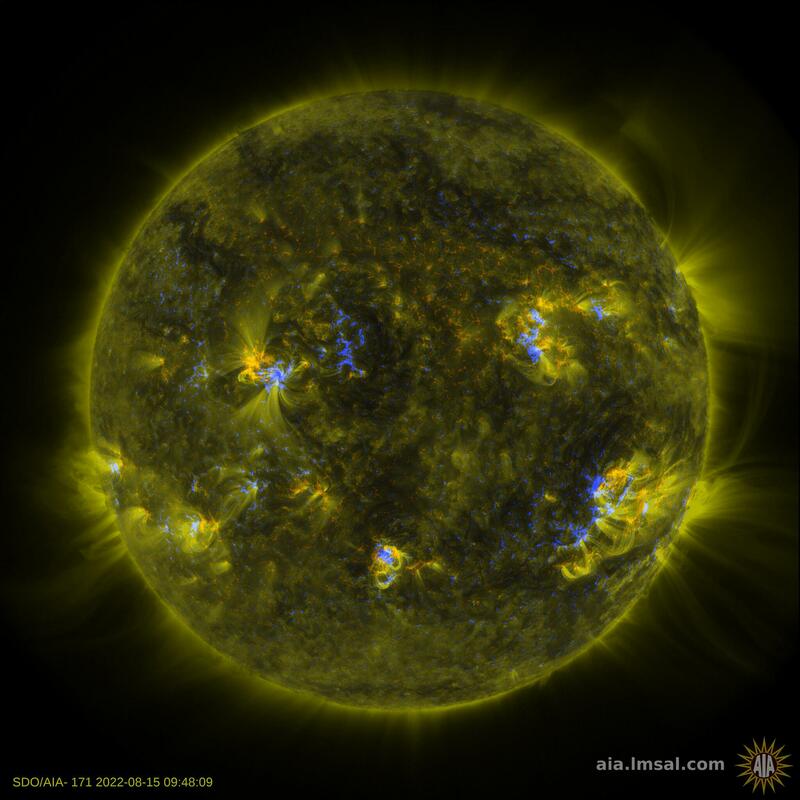 Highlights different parts of the corona. Corona, upper transition region and magnetic field directions. 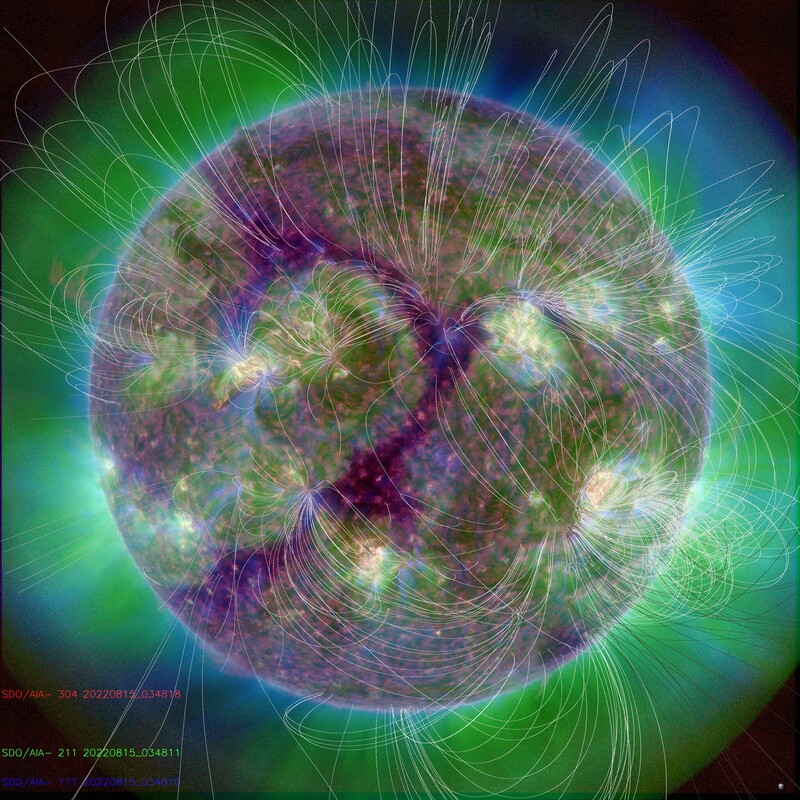 Photosphere and near surface magnetic field directions.